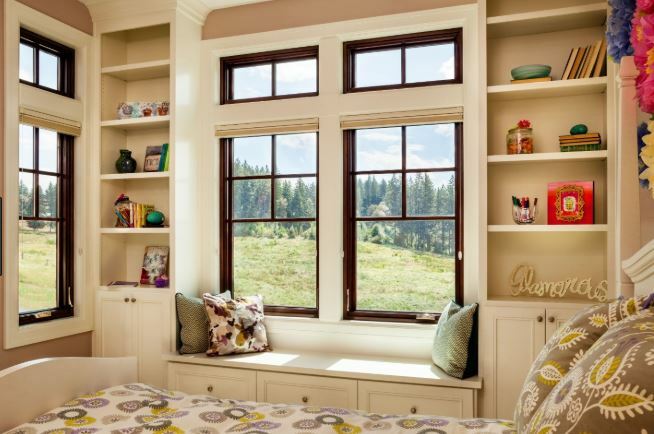 Home » Blog » Is Your Family Making the Most of Your Home’s Windows? For many families, daily use of their home’s windows is a way of life. But for others, those windows can, unfortunately, become somewhat of an afterthought. That’s especially true if those windows look dated or no longer work properly. No one should have to deal with that. Windows can make your daily routine easier and more rewarding. If you or someone you know is looking into replacement windows in or near Fountain Hills, AZ, you should have every confidence that there are solutions to your window needs, whatever they may be. Those solutions include windows made from wood, vinyl, fiberglass, aluminum, or wood that has been clad in either vinyl or aluminum. There’s something for every home, and a number of styles that can achieve the look and feel you’re interested in. Any number of things can compromise your family’s use of windows. Often, older windows may no longer open or close properly due to their age and condition. Sometimes you may have difficulty using your windows because they’ve been painted over. Other times, there may simply be damage that prevents the windows from working effectively. Windows generally last a long time, but they don’t last forever. If you see signs of visible damage or have difficulty using your windows on a regular occasion, you may want to think more seriously about having them replaced. But function isn’t the only consideration. Older windows may look dated and unattractive, causing many families to avoid using them. Some families even find themselves trying to hide their windows because they look so bad. That’s definitely a sign that it may be time for replacement, especially if you are interested in updating the look and feel of your home. Remember, there’s nothing wrong with replacing your windows simply because of aesthetic considerations. Your home should look the way you want it to look. If you haven’t attended to your windows in the last 20 years or recently purchased an older home, there’s a good chance that you may wish to pursue a more modern or contemporary look. At Cougar Windows & Doors, we want the very best for you and your family. That means we also want the best for your home and remain committed to doing the right thing for your windows as a result. We encourage you to seek a free in-home consultation in order to learn more about what we can do for those windows. You may have a number of questions regarding whether or not it is the right time to replace those windows and what comes next. We have the answers, and we are always happy to work with you and help you make the right decision. If you are interested in replacement windows in the Fountain Hills, AZ, area, consider reaching out to Cougar Windows & Doors. We take great pride in our work and look forward to addressing your home’s window needs so that you can use them more effectively. You can visit us at 3820 E Main St Ste 5, Mesa, AZ 85205 or place a phone call to (480) 699-9066.